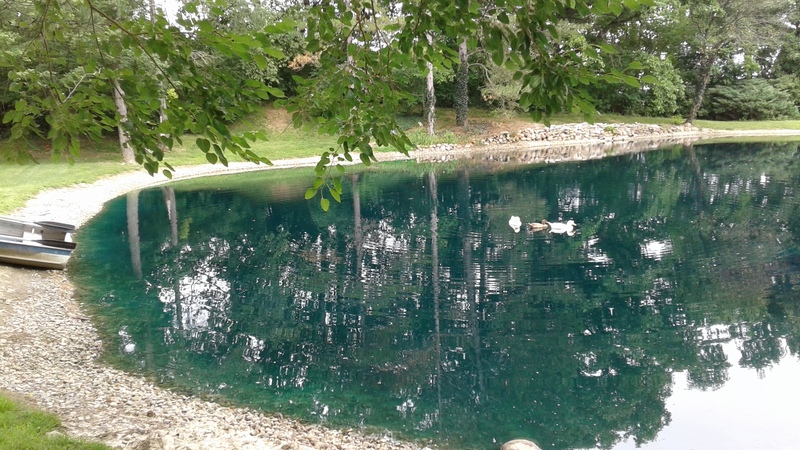 Check out this pond transformation. 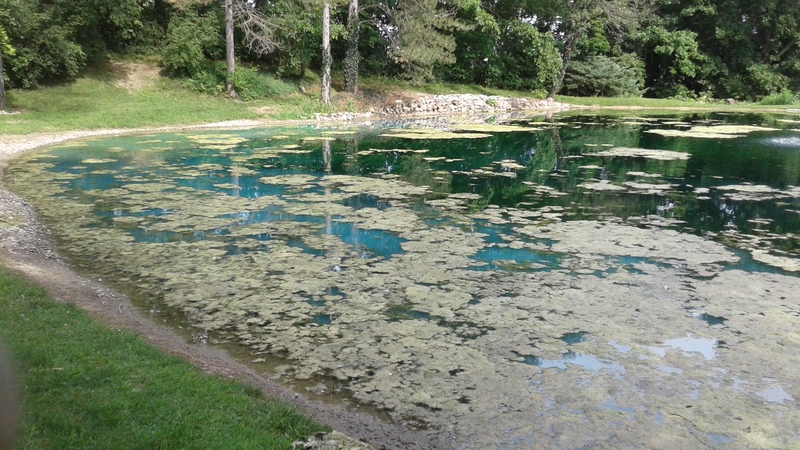 This customer signed up a bit late in the season and his beautiful pond was overtaken with algae mats. 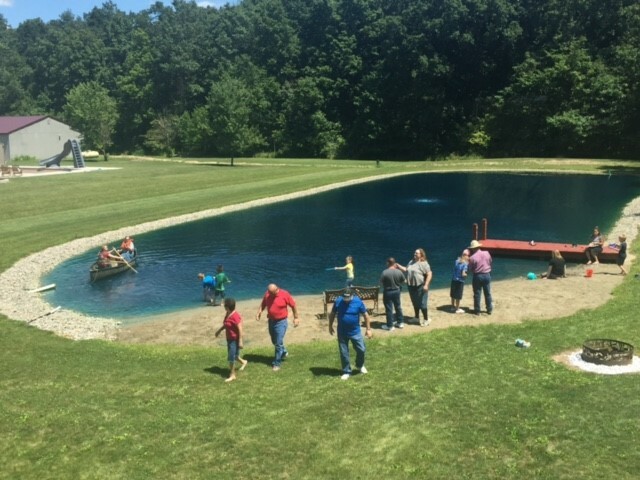 Thank you so much for getting the pond ready for our church party. 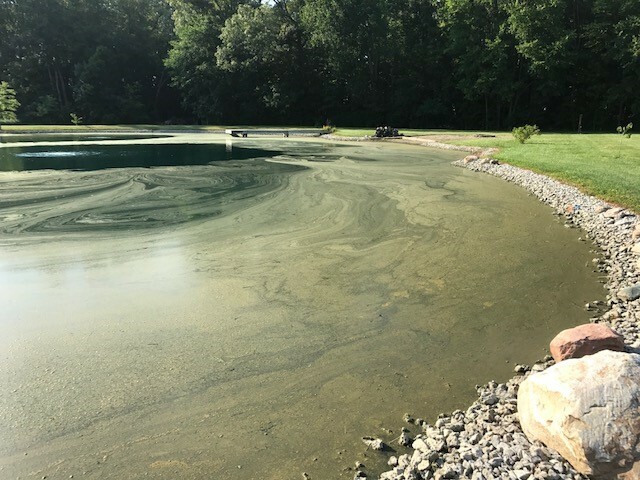 Our Pond Champs techs are trained to handle a variety of pond growth. 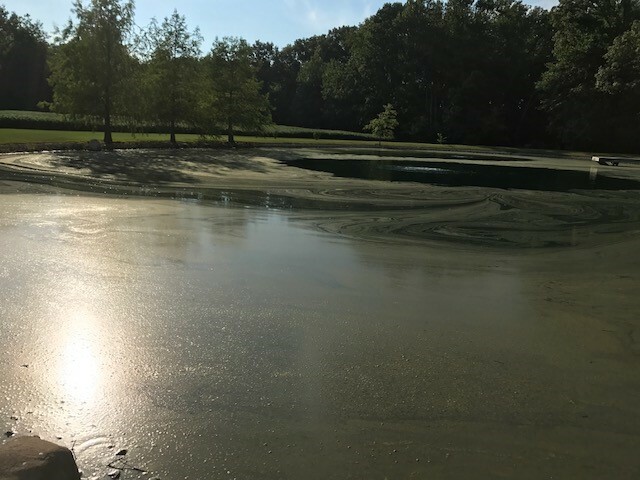 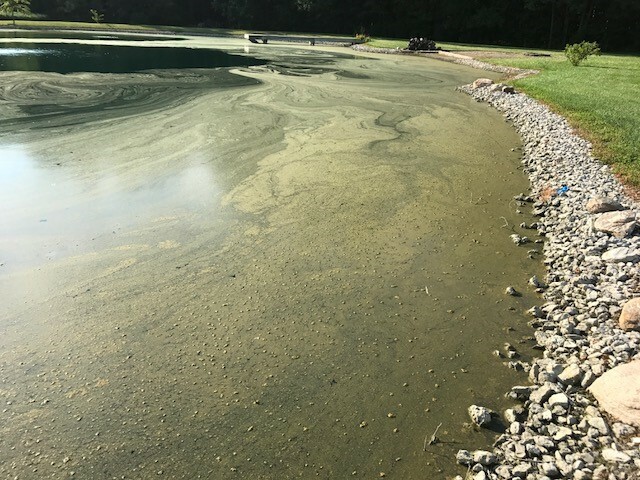 Planktonic Algae can often occur between our regularly scheduled visits.